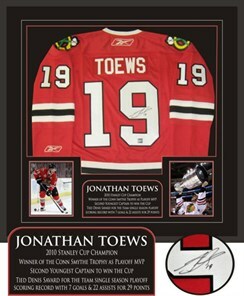 Spectrum Authentics offers custom framing for photographs, jerseys, or virtually any type of sports memorabilia. We are committed to exceptional quality, distinctive designs and specialized service. Understanding how valuable your collectibles are we can design and create gallery quality framed pieces to protect and display your treasures. Please contact us for your personalized framing and display needs!